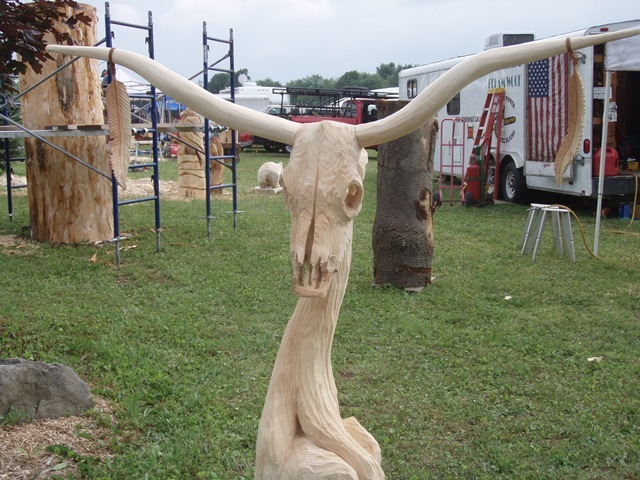 The people that came to Addison cast there ballots for the carving they liked the most Saturday and the most votes were for my piece. 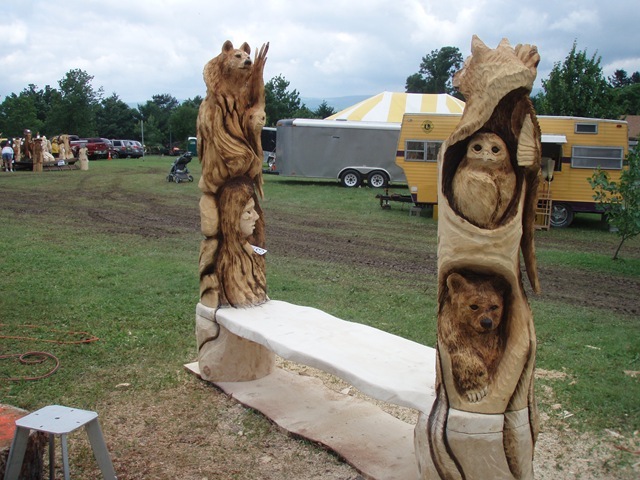 A bench that I called “Same Mind”. 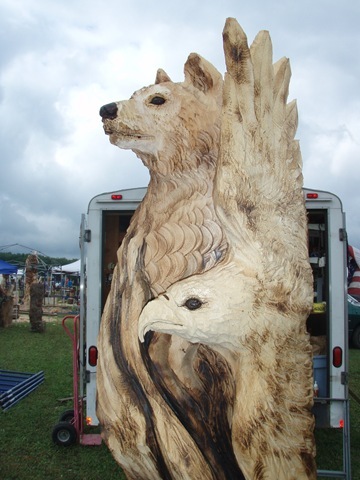 I also got the highest auction bid for a single piece. 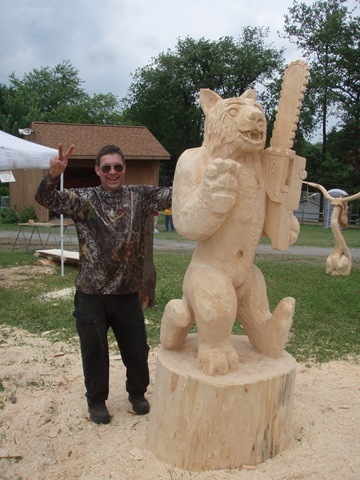 I carved a chainsaw wheedling lion that will have all the carvers names put on the base. 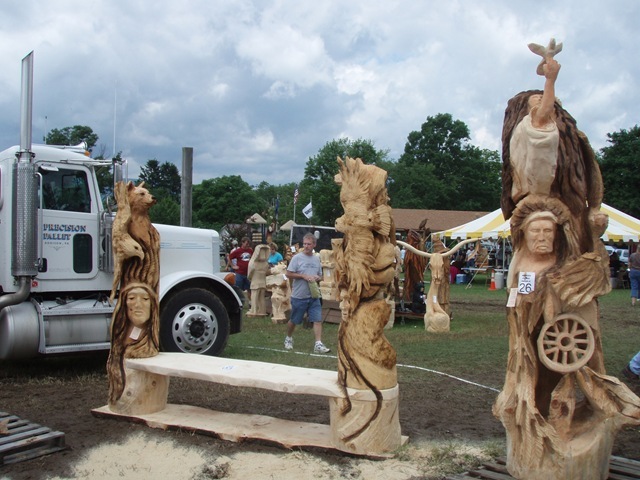 Think fifty or more carvers were there. 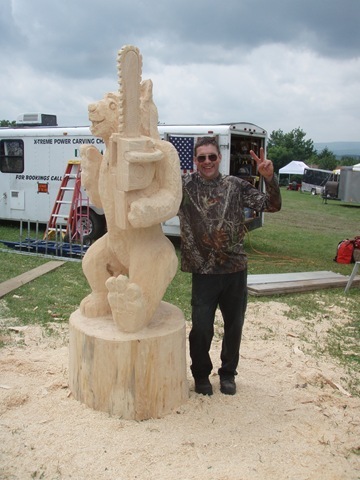 In spite of some big rains during the week a good time was had buy all and the sun came out some too. 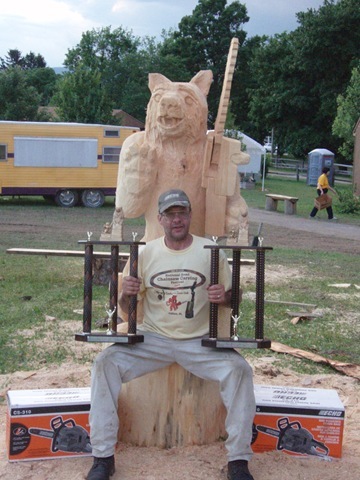 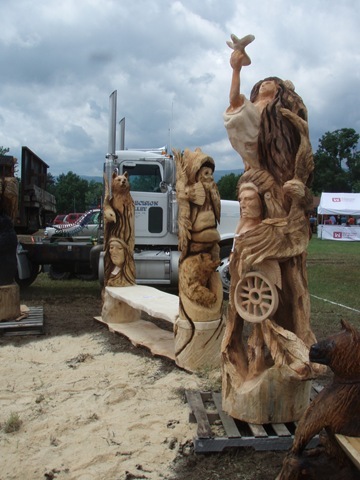 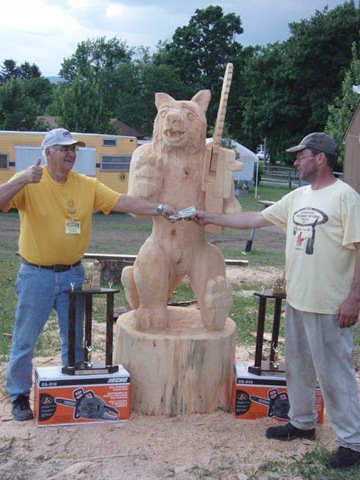 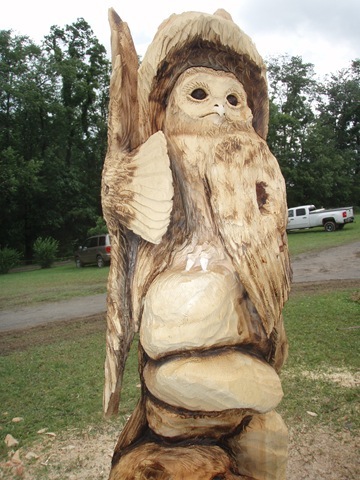 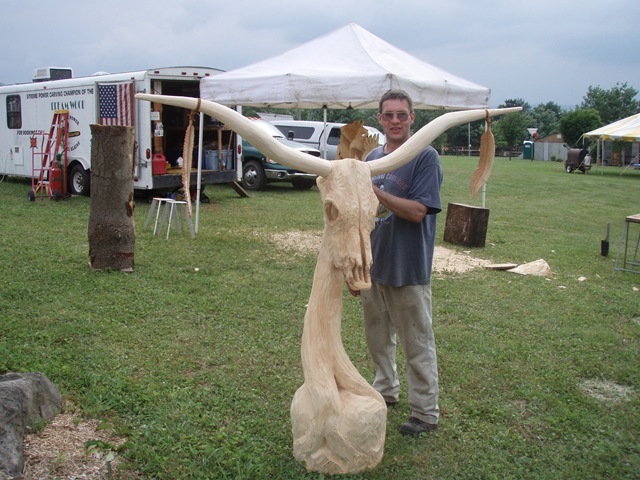 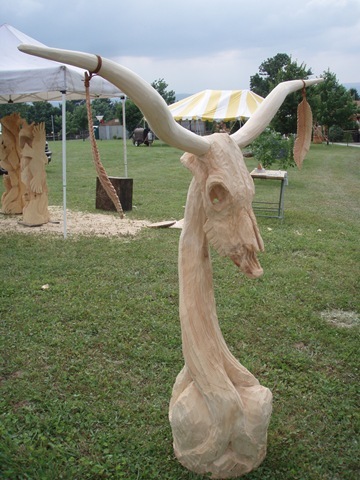 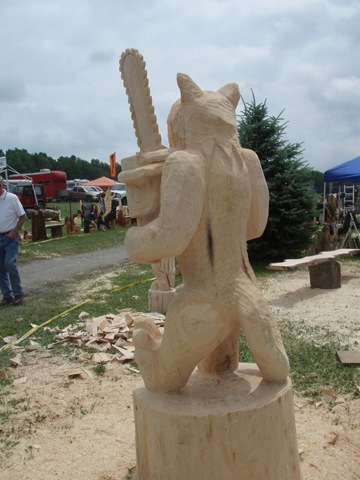 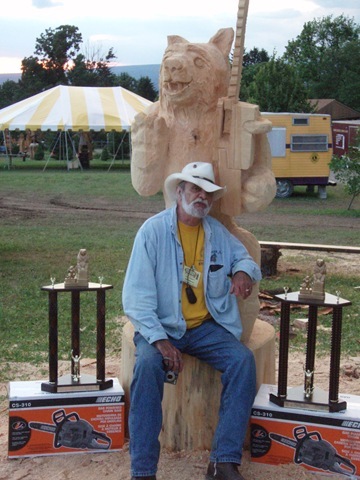 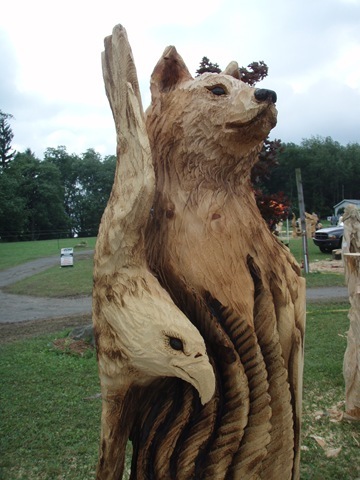 Here are some pictures of my carvings and others.